On Saturday, March 2, we returned to Haiti. Thank you for your prayers for Sr. Marilyn’s mother, Elizabeth Minter, who is still recuperating after congestive heart failure. Please continue to pray for her healing. During our visit to New Jersey, we met with a few groups who share the Felician mission in Haiti. 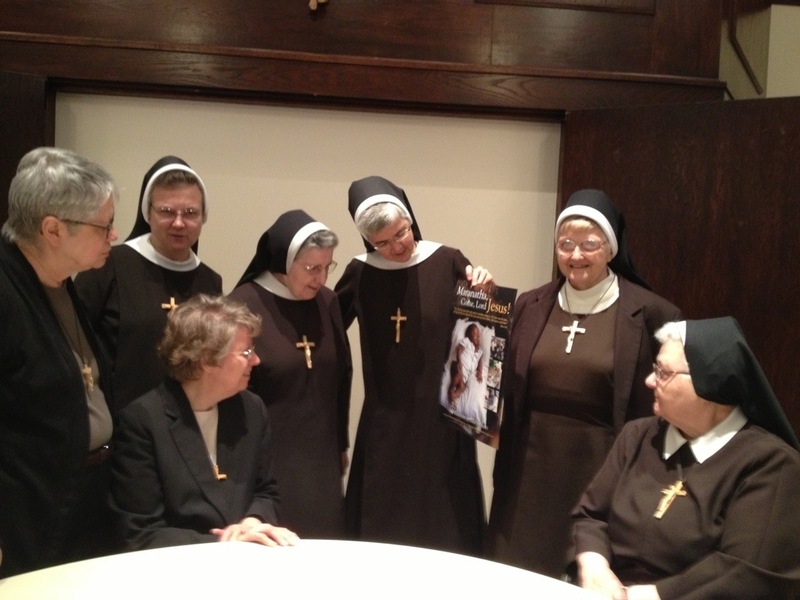 On Friday, February 22, we met with SM Christopher and the provincial council. It is a blessing to receive their support and to know that they believe in this mission among God’s first love–the poor. On Saturday, February 23, we went to Our Lady of the Sacred Heart Central Convent to share with the sisters about Haiti. The sisters showed great interest in knowing about the mission and surprised us with a generous donation. On Tuesday, February 26, we were invited to visit Bishop Ahr High School, Edison, NJ, by Felician Sister Sr. Cynthia Marie, campus minister. For the past two years, the high school has had the “Dime-a-Day” Program and have collected approximately $2,000 each year. This year, the money being collected for the “Dime a Day Program” will be given to the Felician Sister Haiti Mission Fund for the education of young people in Haiti. 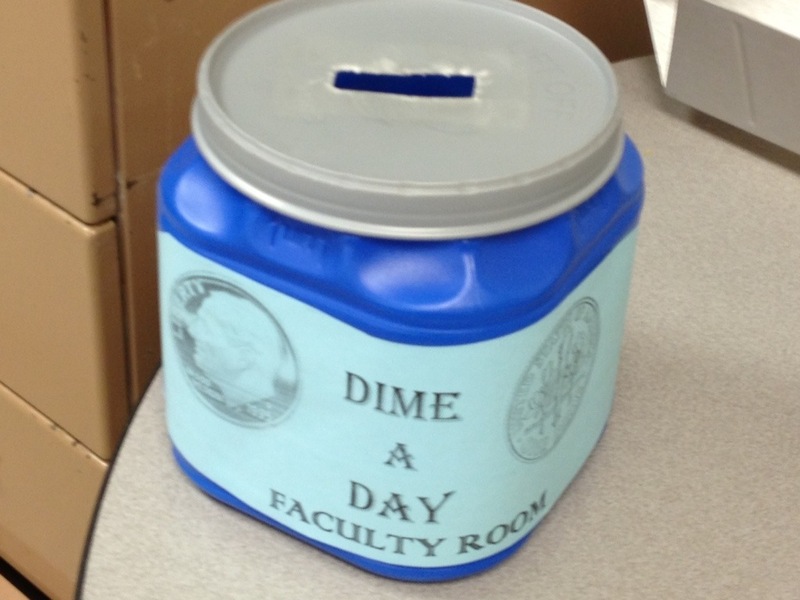 Every day the members of the school community are asked to contribute a dime, penny, nickel, etc. into the Dime-a-Day Container. We had the opportunity to visit many classes and to express our gratitude. As we entered each classroom, we noticed our Advent Haiti poster; and next to that poster was one created by BAHS, continuing the theme that “God so loved the world.” We invited them to come and volunteer in Haiti, and we look forward to seeing the Bishop Ahr High School community share the Felician Mission in Haiti. In one of the religion classes, the students were having their own conclave for a new Pope. The students researched all the voting cardinals and then made their choice. It seemed like Cardinal Timothy Dolan was a popular choice. Let us continue to pray to the Holy Spirit for our new Pope. 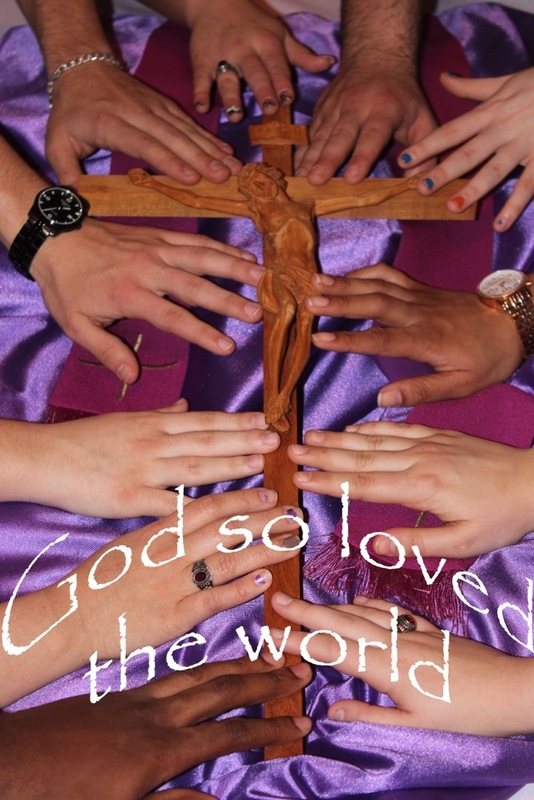 On Thursday, February 28, we met with Msgr. Frank DelPrete, pastor of St. Gabriel’s Parish, Saddle River, NJ, and his pastoral associate Sister Esther. The parish is interested in twinning with one of our parishes in Jacmel. Msgr Frank, as well as a few other parishes, have donated many church vestments and vessels needed in Haiti. We are so grateful to them all. The day before we left, we received prayers and donations from our sisters in Our Lady of Lourdes Care Center in Lodi. That evening we updated our sisters in the central convent in Lodi from whom we always receive support in whatever we need for the mission. Please pray for us. We are in Port au Prince now because tomorrow we need to see about the process of the car that is so needed for the mission in Jacmel. Having the car serves not only us but people who are in need of transportation to clinics and hospitals, as well as visiting mission chapels in the mountains. Our Lady of Perpetual Help, pray for us.